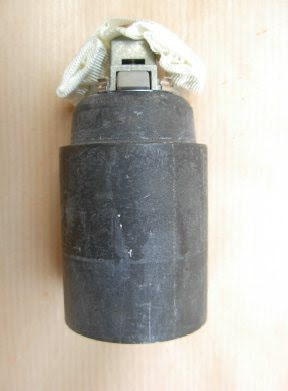 The SAKR Factory for Developed Industries produces two types of 122mm surface-to-surface rockets: the SAKR-18 and SAKR-36, containing 72 and 98 M42D submunitions, respectively. You'll note the US made M42 submunition looks very similar, which, based off the designation, makes me wonder if the M42D is a copy of that munition. 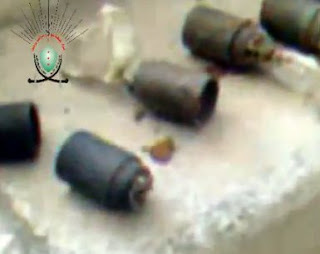 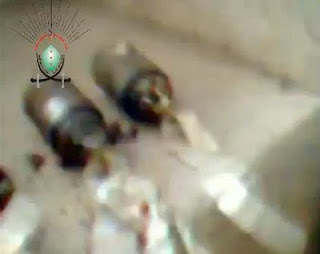 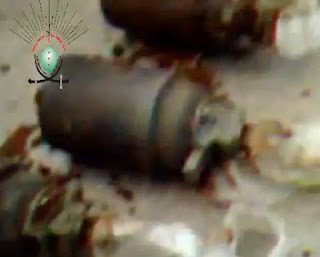 In lieu of a reference image for the M42D I cannot say for certain that the submunitions in the video are M42Ds, but based off the type of rocket pictured in the video it seems highly likely we have the first evidence pointing towards a new type of cluster munition being used in Syria by the Syrian army.